McDonald's is launching a new vegan option in Sweden. The fast-food giant revealed on Instagram that it will be adding McFalafel to the menu, saying: "Have you heard the news? 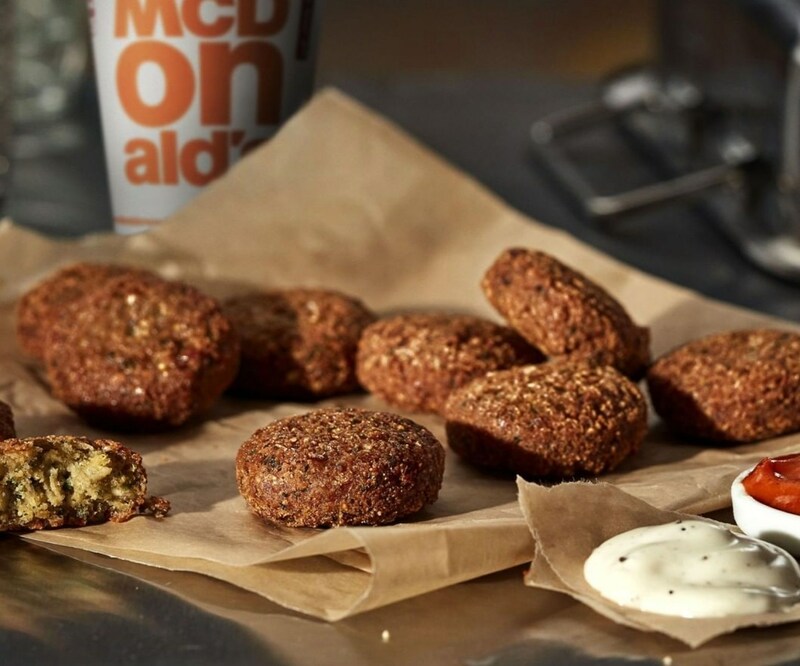 Soon we will have McFalafel #vegan." McDonald's already offers the McVegan Burger in Sweden - which it rolled out across the country at the end of 2017. In addition to the McVegan Burger - which also retails in Finland - the burger chain is also trialing the El Veggo in Finland. In addition, McDonald's launched a vegan Happy Meal in the UK earlier this month - as well as a wrap which is suitable for those on a plant-based diet. The vegan Happy Meal includes a breaded red pesto goujon wrap. The Spicy Veggie Wrap, on McDonald's main adult menu, also contains a breaded vegetable goujon.The kids' wrap also contains tomato ketchup and shredded lettuce, and the adult option features spicy tomato relish, tomato, lettuce, and red onion. Both are wrapped in a flour tortilla. The items are both certified by The Vegetarian Society. In addition, a McDonald's boss hinted at the end of 2018 that the chain could have more vegan options in the pipeline. Speaking at the recent Most Powerful Women Next Gen Summit in California Lucy Brady, a Senior Vice President for the fast food giant, said the company is tracking major trends and how to keep up with. *While all the ingredients in the wraps are suitable for vegans, McDonald's has marked the items as vegetarian because the tortillas pass through the same toaster as the buns that contain milk - and therefore there's a minor risk of cross-contamination.